$0.99 (regularly $2.99) 11/1/2016 - 11/8/2016! 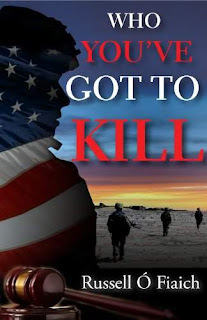 A Marine defense counsel, crippled by the ghosts of his past, is faced with a horrific choice - seeing the lives of the ones he loves destroyed forever or allowing three young soldiers to be put to death for war crimes they did not commit. To defend his clients, Captain Chuck Sildell must uncover a deep-seated political conspiracy that holds in balance the course of the war in the Middle East and battle those who will stop at nothing to conceal the conspiracy and the identities of those involved.